I recently had an occasion that hit close to home and I was shocked at my reaction. I mean...I coach this stuff...I teach it and help others find strategies to cope. However, an event involving my Daughter knocked the wind out of my sails so to speak. All is well now but as I was researching I found this example of the process of grief called the Westburg Cycle of Grief. I had an AHA moment and thought WOW this is exactly what I went through and it would have been easier had I known this information prior too the mini crisis but I hope it helps you as much as it has helped me. It may seem odd to you as grief is not the first thing you feel. All the feelings of shock, anger, denial and various other emotions are part of the cycle of grief. Often times we do not even realize we are going through the grieving process. However, when you first hear of bullying it makes sense. You have lost your "ideal" of what you want your child to be or experience. This loss causes the cycle to begin completely on it's own with no conscious thought from us. 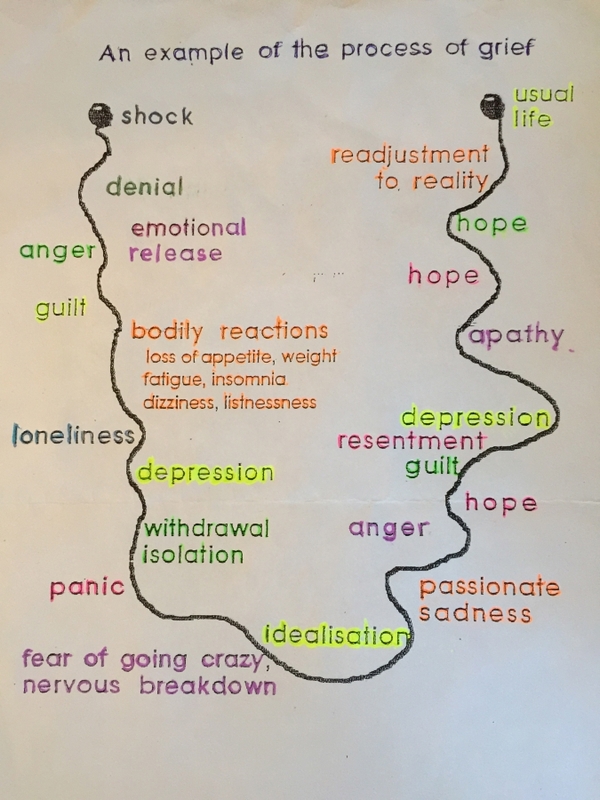 You have to go through the process which is different for everyone in order to reach a new "normal" You may be surprised to find out these are all emotions that are part of the Grief cycle and completely normal. Keep in mind this is not a circular or step by step process. You can go from anger to hope to normal life and into denial. It is more like a twisted path and is different for everyone. I hope this little diagram I found helps you understand your reactions to bullying. Wherever you are in the process I hope you have the support and guidance you need to minimize the impact of your reaction on your child. Your reaction to bullying needs to be kept between you and other adults. Your child should only see you calm and steady at the eye of the storm. Need help dealing with all those emotions. Hiring a Life Coach can really help.